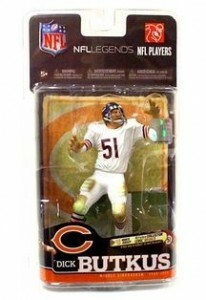 In 2005, McFarlane Sports Picks launched a popular line of figures in focused on popular retired players, all-time legends and Hall of Fame greats. The line is appropriately named Football Legends. 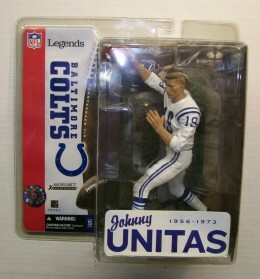 It provides collectors and fans an opportunity to collect and display their favorite players from bygone eras. 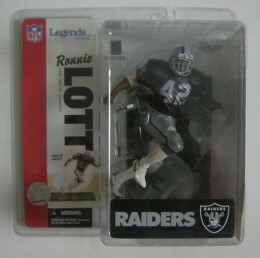 Like other lines from the company, there are several McFarlane Football Legends variants that add a chase element to collecting. Variants usually have players in alternate uniforms or with different accessories. 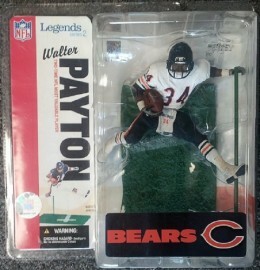 With several of the game's all time great players changing teams later in their careers, this line also gives fans and team collectors the chance to collect figures of these players in their new uniforms. In later years a Collector Level was added to the series. While not technically variants, their limited production numbers do provide an added level of collectibility. However, Collector Level and exclusive chase figures are not included in this variant exclusive guide, unless the exclusive is a variant figure of one produced in the same series. 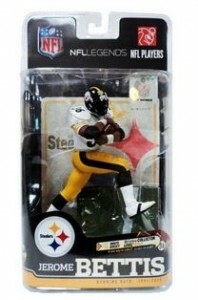 Detailed here is a comprehensive list of McFarlane NFL Legends Variants. There have bee six series produced to date and this guide will be updated accordingly. Additionally, when available, we have provided production numbers for the more recent series of Collector Level figures for which variants were produced. If you're looking for specific figures, click on the series name to shop for singles on eBay. 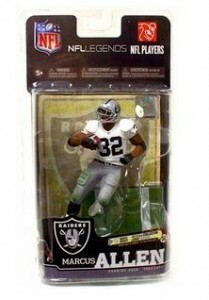 McFarlane NFL Legends Raiders MARCUS ALLEN White Jersey Variant 540 1000 NEW!